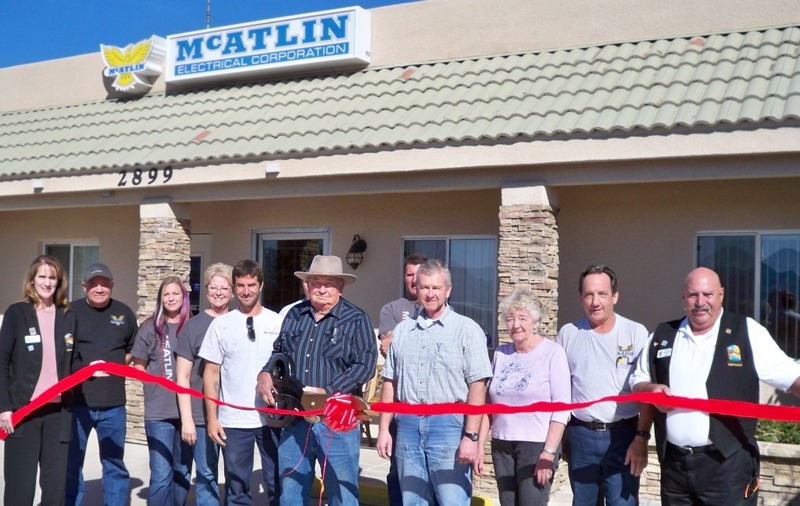 The Lake Havasu Area Chamber Ambassadors held a ribbon cutting ceremony for McAtlin Electrical Corp. celebrating its 25 year anniversary with the Chamber. Attending the ribbon cutting were Laura Prahl, Don Klostermeier, Marc McAtlin, Randi Hudson, Norma Jean Hudson, Bill McAtlin, Lois McAtlin, Don Andrews, Tim Kletschka, Julian Jaramillo, Tim Janecek, and Lucky Atkinson. 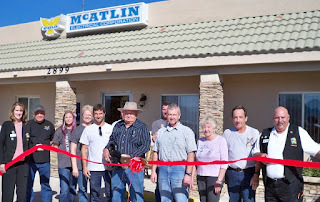 McAtlin Electrical Corp has been providing quality electrical solutions for residential and commercial customers in Lake Havasu City since 1982. They are proud to have the opportunity to work in such a great community and would like to thank their friends and customers who have, and continue to support them. For more information please contact them at (928) 855-0389.